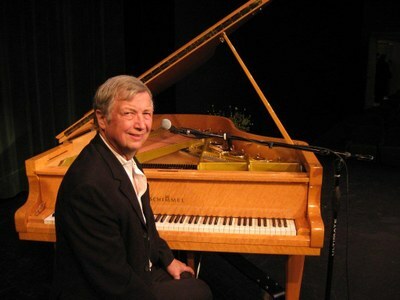 You're invited to "BOB MILNE RAGTIME PIANO CONCERT"
Bob Milne is considered to be the best ragtime/boogie-woogie pianist in the world. He was filmed and documented for future generations in 2004 during three days of interviews at the Library of Congress, and was declared a National Treasure at the conclusion. Mr. Milne is an active Musical Ambassador for the United States Dept. of State, and has performed numerous times in Japan, including the Okinawan Islands and Hokkaido. He has also performed in this capacity for members of the Swiss Parliament at the U.S. Embassy in Berne. Mr. Milne's natural ability to hear and play music goes back to his early childhood. He makes the statement, I knew how to play a piano long before I ever started. Just push down the notes you hear and the instrument will play itself. Can't everyone do this? He considers either looking at music or practicing to be cheating.